Switzerland`s picturesque ski resorts are some of the most renowned winter destinations in the world. Unparalleled natural beauty, cozy chalets, fantastic slopes and fascinating Alpine panoramas have not just inspired the creators of the Toblerone chocolate. In Andermatt, a tiny village in the heart of the Swiss Alps, one of Europes leading Hotels is setting new standards, even for top destinations like St. Moritz. 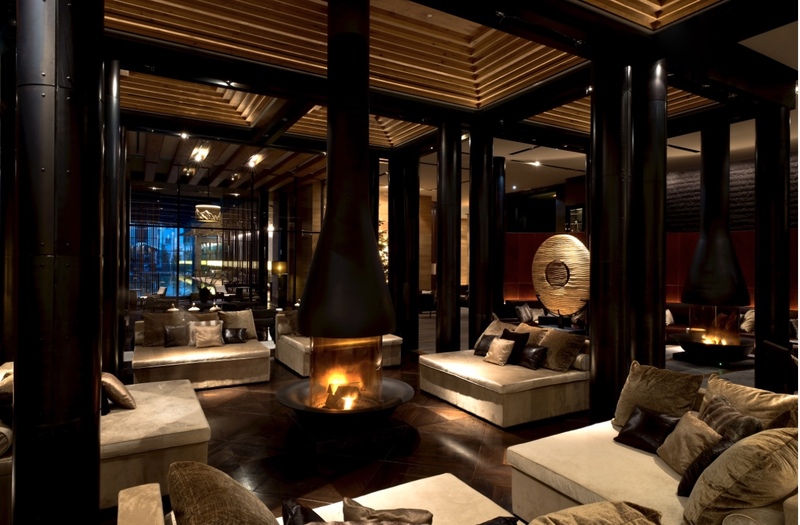 Let`s take a look inside of The Chedi Andermatt, the brightest gem of Alpine hospitality! 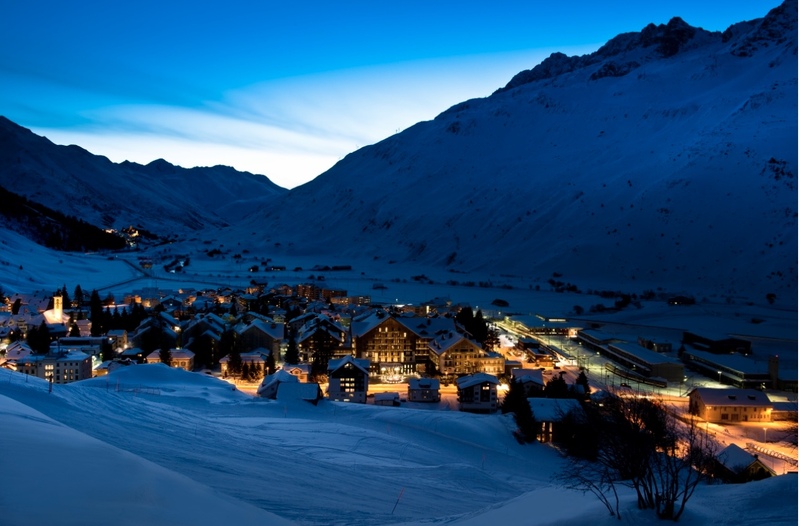 he story of Andermatt, which made cinema history in 1964, when James Bond pursued Goldfinger through the Furka Pass, differentiates from the glamorous ascend of other iconic winter destinations. Located in the heart of the Swiss Alps, at the crossroads of 3 Alpine passes, the mountain village has found itself at the centre of historical European trade routes, surrounded by vivid myths & legends. The modest mountain hideaway with a moved history has witnessed economical highs and lows, not always within the sphere of influence for it`s local inhabitants. When the first wooden “Devils Bridge” across the “Schöllenen Canyon” was built, Andermatt flourished economically as the last resort before the Gotthard, offering refuge and relaxation for travelers across the king of the Swiss Alps. The German poet Johann Wolfgang von Goethe embarked on 3 arduous journeys to the Gotthard. His fascination for the Urserental made him the most famous spokesman of the Alpine village – and his quote “Out of all regions I know, this is the most favourable and most interesting one to me!” is still the best marketing slogan for Andermatt, decorating streets, tourist magazines and restaurants to this day. In the fate of the Alpine village, the vision of Egyptian investor Samih Sawiris marks a groundbreaking event (much beyond the influence of James Bond). 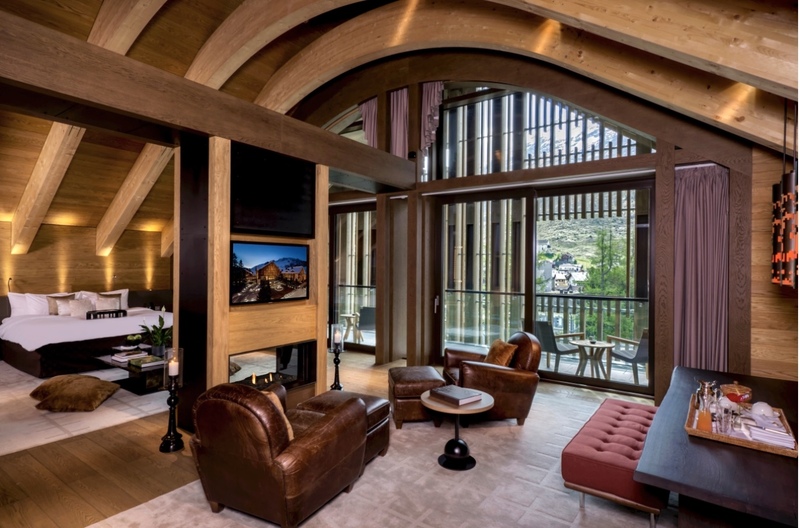 Part of the mega project Andermatt Swiss Alps, the 5 star deluxe Hotel The Chedi Andermatt, is set to transform the sleepy mountain village into one of the worlds top alpine destinations. Since it`s opening in 2013, a remarkable blend of existing traditions and highest design have created new standards in Alpine hospitality. The Chedi Andermatt has been distinguished by GaultMillau as “Hotel of the year 2017” and received highest praise by renowned Swiss journalist Karl Wild as Best Hotel in Switzerland 2018/19 and a “blessing for the entire region”. 150 years ago the “winter holiday” was born in St. Moritz, following a bold bet of hotelier Johannes Badrutt who promised his English summer guests that the winter months are much sunnier and more agreeable in the Alps than in England. Considering the fortune of most alpine ski resorts has greatly depended on external events, the visionary project of Samih Sawiris could mark the ascend of a new prime winter destination. For now, St. Moritz might have the sideshow, but heaven of hospitality can be found at The Chedi Andermatt, a magnificent destination you need to discover yourself! The Chedi Andermatt was designed by star architect Jean-Michel Gathy, the creative genius behind some of the most beautiful hotels in the world. Chalet-inspired coziness combined with Asian elegance are redefining the bar for alpine luxury hospitality. Over 200 fireplaces, highest design and lightening perfection are creating an ambience of peerless impressions. Visitors from all over the world are awestruck by the natural beauty of the Swiss Alps each year. 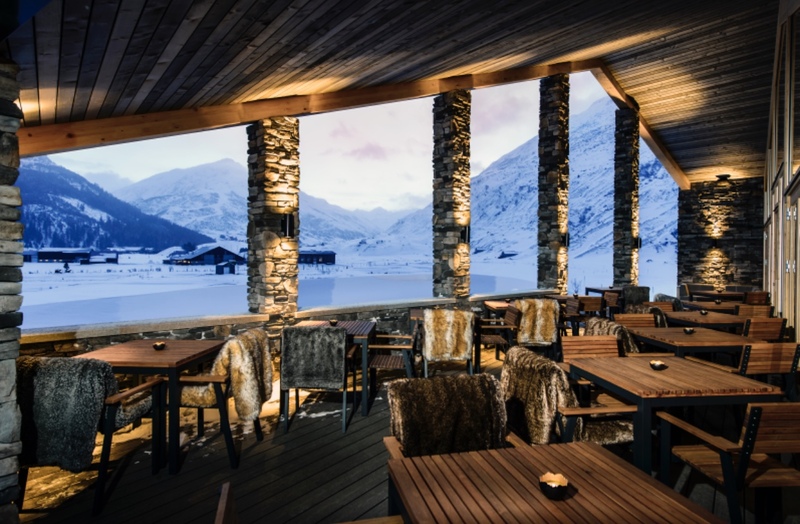 Situated in the authentic village of Andermatt, in the midst of regeneration, The Chedi is a perfect destination for outdoor activities, skiing or simply to relax. The designers of the luxury hotel have thoughtfully chosen natural materials as dominating elements. Private balconies & alpine panoramas are respectfully intertwining with nature as the most precious source of relaxation! Luxury hotels aren’t complete without a standout spa. Architect Gathy, has created a temple of wellbeing in the heart of the hotel, which is a destination itself. At the 2,400 square metres spa you can dive into an oasis of calm & relaxation. Unwind your soul at the generous 115-foot (35-metre) indoor swimming-pool or nurture your body & spirit with holistic treatments at one of the most magnificent wellness hotels in Switzerland. At the Chedi`s 35-metre swimming pool you can dive into relaxation and let your soul rest in lounging beds by the water. The Wine Library of the Chedi showcases an impressive selection of 6000 high-end wines, which are an eyecatching element of design and haven for connoisseurs! At promotional wine tastings, renowned international wineries are inviting to the world of gourmets. The Cigar Lounge exhales elegant ambience and the flavours of 70 different brands of finest Cuban cigars. Smokers can select their tobacco preference and rejoice with a cognac or digestive around a roaring fireplace. The 5 metres high cheese walk-in humidor is haven for connoisseurs and a unicum in Switzerland, if not the world! Dining at the hotel makes a clear culinary statement! In The Restaurant you are tempted with dishes from Asian and European cuisine prepared in stylish open studio kitchens. A particular highlight is the Wine and Cheese Cellar: In the 5 metres high walk-in humidor guests can marble the produce of farmers from the region and taste a piece of Switzerland`s rich traditions. Certainly, nowhere are cheese loafs stored as stylish as at The Chedi. In the wintertime, when Andermatt is nestled between snow covered mountains, the small vilage turns into a marvelous winter wonderland. In the rustic-chic Chalet located in the Courtyard of The Chedi, you can embrace the spark of winter magic and wooden homeyness with warming raclette & exclusive truffled fondues. No place is more romantic in the winter than a cozy chalet in the mountains – and even more wonderful if it is one of the best hotels of the world! No place is more romantic in the winter than a cozy chalet in the mountains – and even more wonderful if it is one of the best hotels in the world! The nearest international airports are Zurich, Milan and Geneva. Getting to Andermatt is also easy by road or rail. Due to its convenient accessibility from all four corners of the world, it can be reached within a 1.5 hour drive from Zurich or within 2 hours by car from Milan. Rates are starting around 500 $ per night. Find out about the availability of rooms & suites here. Posted in Travel and tagged alpine hospitality, andermatt, chalet, gotthard, luxury hotel, swiss alps, Switzerland, the chedi, Travel Tips, winter holidays, witer travels. Bookmark the permalink.